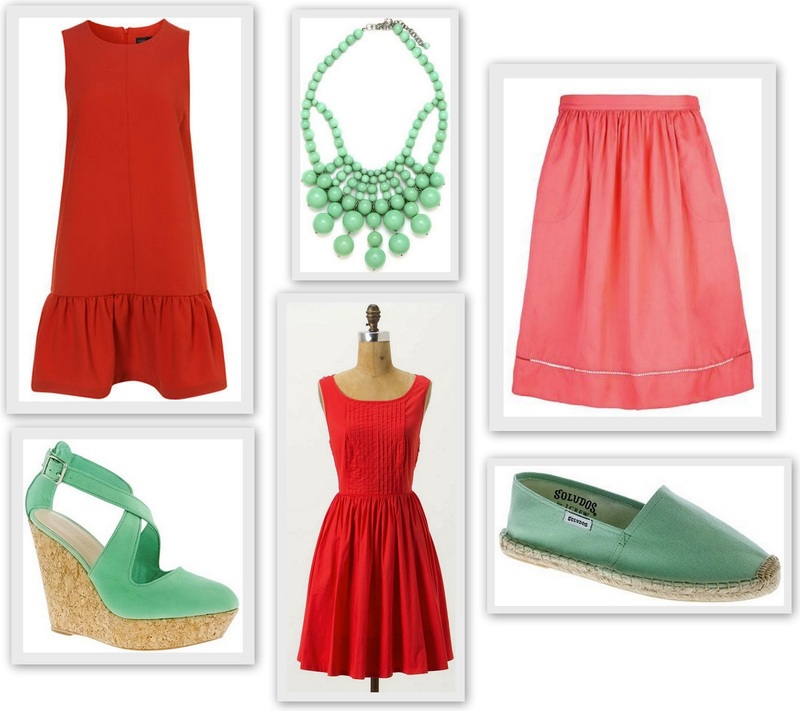 I love the sherbety combination of coral and mint. 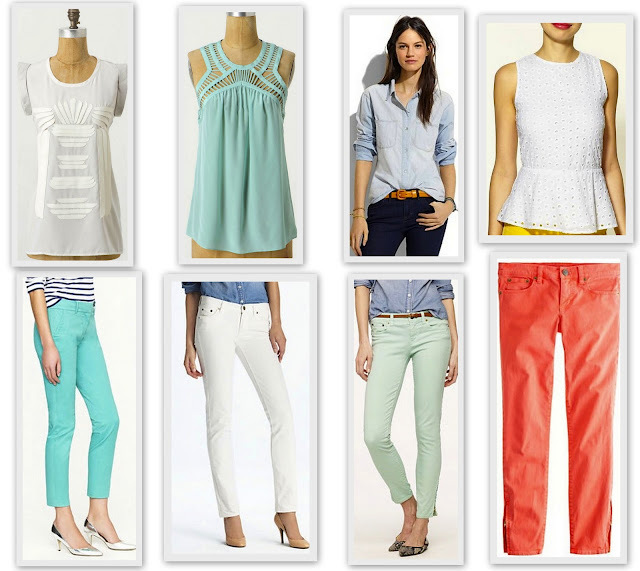 Mix in a little white and denim and you have a bright, cheery, fashion forward ensemble that feels like summer dessert. First, some options for a casual party or a dinner out. To dress the look down, add colored denim. 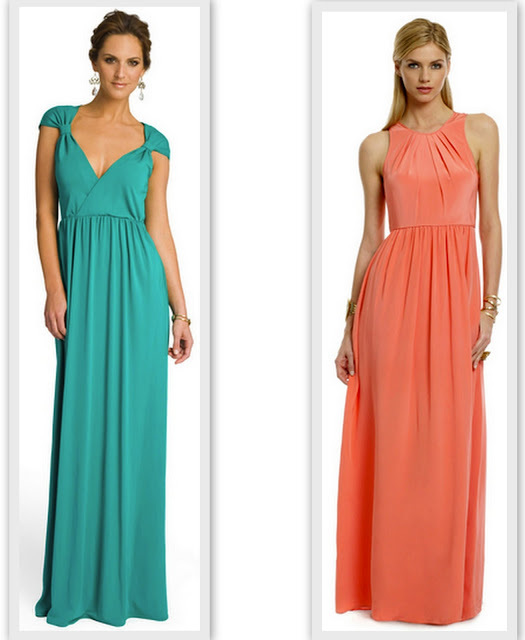 Or dress it up with a gorgeous maxi!